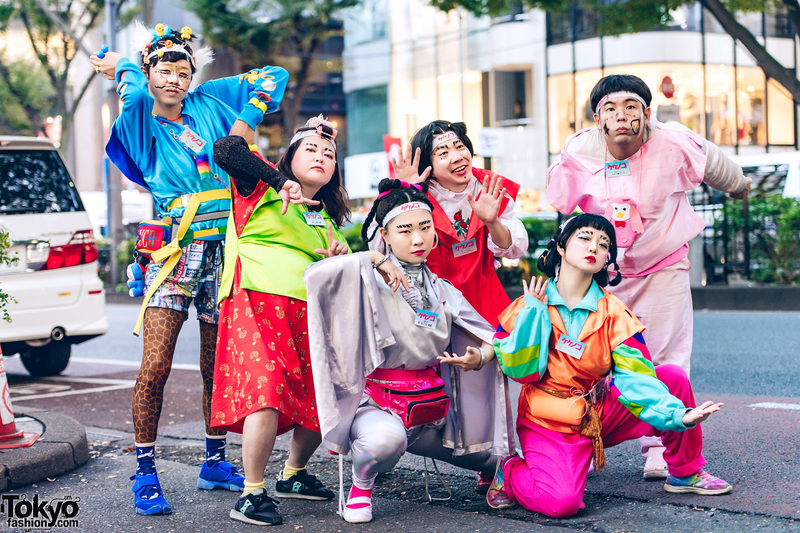 Kekenoko performance art group in colorful 1980s Harajuku inspired fashion while out and about on the Harajuku street. Harajuku Fashion Walk organizer in kawaii street style while out and about in nighttime Harajuku. 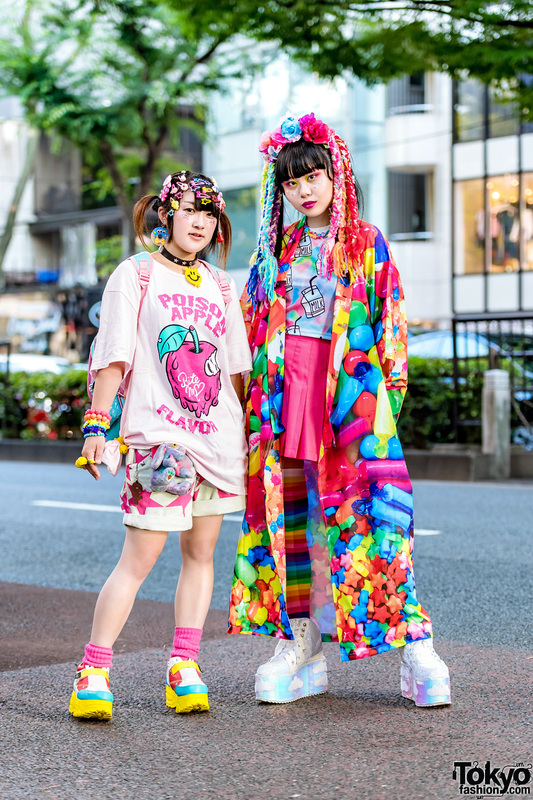 Harajuku girls sporting kawaii street styles and decora accessories while out and about on the street. 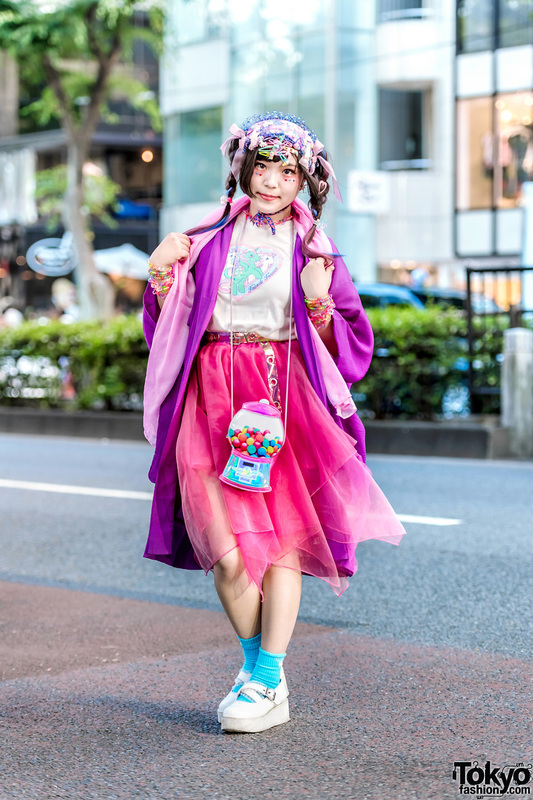 Harajuku girls in kawaii and all pink street styles while out and about on the street one afternoon. 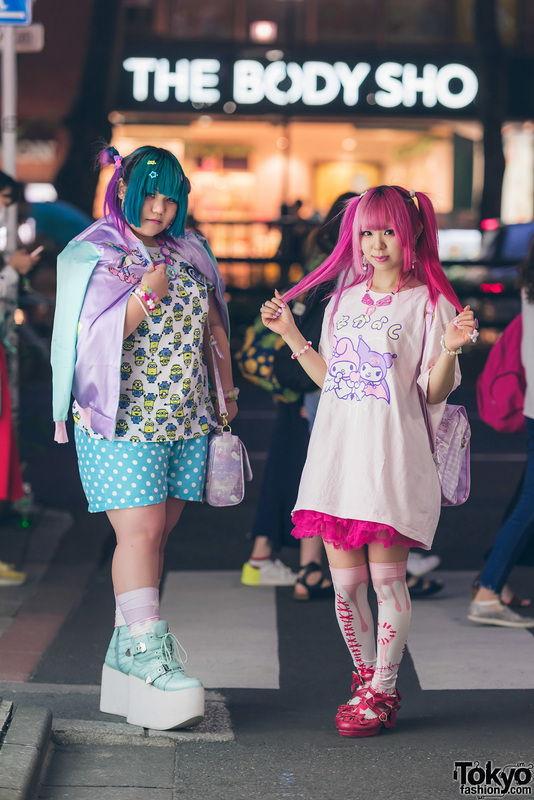 Harajuku girls in kawaii pastel fashion with satin bomber jacket over Minions t-shirt, polka dot shorts, platform sneakers, oversized shirt, ruffle skirt, knee high socks, bow shoes, pastel bags and kawaii accessories. 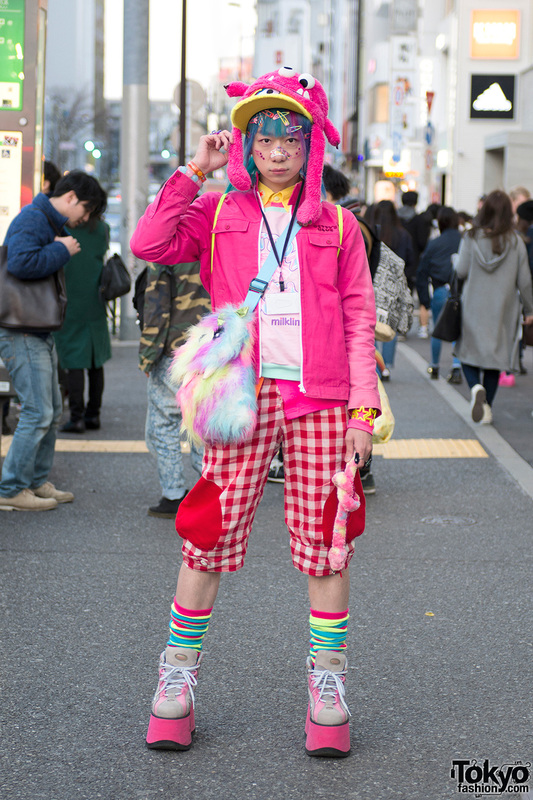 Harajuku Fashion Walk organizer wearing kawaii pink fashion on the street with a monster hat and faux fur monster bag, platform boots, decora hair clips, and toy snake. Pink-haired Harajuku girls in wearing sheer top, Monster’s University t-shirt, ripped jeans, yellow pumps, black sandals, and accessories.